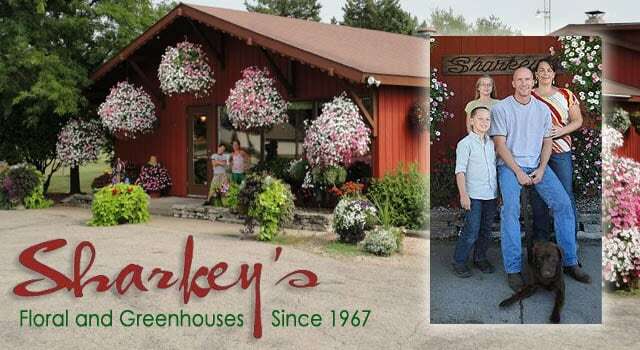 Welcome to Sharkey's Floral and Greenhouses! *Our shop is open from 9:00 a.m. to 5:00 p.m., Monday through Friday and from 9:00 a.m. to 12:00 NOON. on Saturday. If you have any questions or need more information, please contact us directly at (715) 854-2483. We're always here to serve you and make your flower-sending experience a pleasure.